In the middle of winter and with snow piled in many cities across the country, it’s hard not to daydream about summer. And there certainly is a lot to love about summertime. There are the hot days, the warm nights, the easy-breezy lifestyle, and of course, the in-season produce. Colorful berries, juicy watermelon, and perfectly ripe tomatoes personify the sweetness of summertime. But, thankfully, there is a way to get the taste of summertime year-round, even when temperatures are sub-zero. All you have to do is simply open a can of tomatoes from your pantry. Preserving the flavor and nutrition of tomatoes through canning makes this red vegetable an economical way to enjoy them all year long. Tomatoes that are harvested and used for tomato products (which makes up 75% of the entire tomato crop!) such as salsa, ketchup, tomato paste, and tomato sauce, are grown to their full nutrient and flavor potential. They’re picked at the peak of ripeness to ensure that all those good-for-you antioxidants make their way into your recipes – even in the midst of winter. But, there’s an added bonus by opting for the canned varieties of tomatoes. When tomatoes are heated during processing or canning, the antioxidant, lycopene becomes more bioavailable to our bodies, offering potentially more cancer protection and anti-inflammatory benefits. That’s why you could be doing your body so much good by opting for canned varieties even during the hot days of summer, or tomato season. On top of lycopene, tomatoes contain a variety of other beneficial nutrients that may be responsible for tomatoes’ health preserving properties, including vitamins A and C, fiber, and potassium, as well as a variety of carotenoids, antioxidant compounds which give tomatoes their red, yellow, and orange colors. Even if you’re buried under snow try this tasty recipe to give yourself a taste of summer with this Herb Greek Salad with Tomato Rice below. Whisk your taste buds away to a warmer day with this flavorful, plant-based salad. It also makes for great leftovers so you can treat yourself to two days of sweet summertime flavor. In a heavy bottomed pan, add rice, water, and tomato sauce. Bring to a boil, cover, and simmer for about 50 minutes. Once rice is cooked, allow to cool completely. 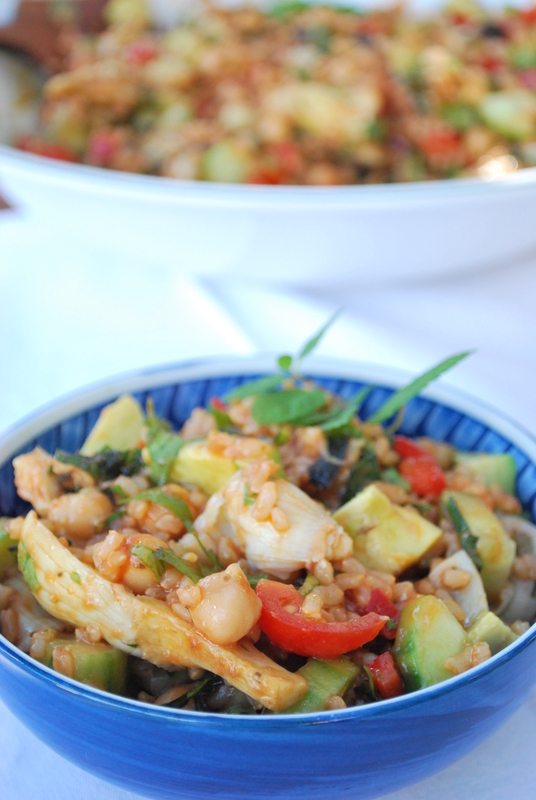 Mix together tomato rice, beans, artichoke hearts, chopped vegetables, and herbs to a large bowl. Whisk dressing ingredients together in small bowl. Toss salad with dressing and gently mix in avocado before serving. Sharon Palmer, RDN, The Plant-Powered Dietitian™, is an award-winning food and nutrition expert, journalist, and editor. She is author of The Plant-Powered Diet: The Lifelong Eating Plan for Achieving Health, Beginning Today (The Experiment, 2012) andPlant-Powered for Life: Eat Your Way to Lasting Health with 52 Simple Steps & 125 Delicious Recipes (The Experiment, 2014). Over 850 of her articles have been published in national publications, includingPrevention, Better Homes and Gardens and Yoga Journal. Sharon also is editor of Environmental Nutrition, nutrition editor of Today’s Dietitian, blogger for The Plant-Powered Blog, and publisher of her monthly The Plant-Powered Newsletter. Her specific expertise is in plant-based nutrition, including flexitarian, vegetarian and vegan diets. She serves as the consultant dietitian for the Oldways Vegetarian Network, an editor for the Academy of Nutrition and Dietetic’s website eatright.org, and judge for the prestigious James Beard Foundation Journalism Awards. 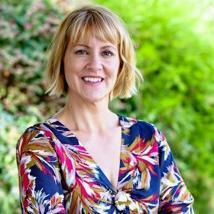 Sharon is regularly invited to speak on food and nutrition at a number of events across the country. She is passionate about sharing her enthusiasm for sustainable, delicious, healthy food. Living in the chaparral hills overlooking Los Angeles with her husband and two sons, Sharon enjoys visiting her local farmers market, gardening, and cooking for friends and family.